On May 28, 2018, Tourism & Exchange Division jointly organized Lao Tourism Promotion Seminar with Ministry of Information, Culture and Tourism (MICT) of Lao PDR. 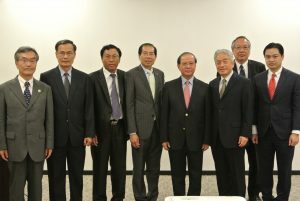 The seminar explained Lao government’s initiatives to increase the number of international tourists and provided information on tourist destinations in Laos. 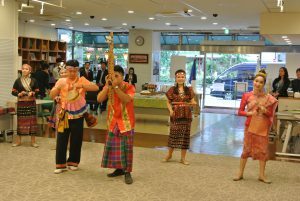 At the end of the seminar, Lao traditional performance of dance and Khene was introduced and also participants had a time to extend their relationship with others during the networking. 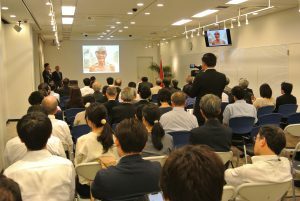 It was attended by 72 people from the travel industry and the general public. 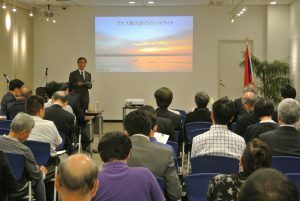 According to the result of the questionnaire, since information about Laos is limited in Japan, the audience was satisfied with the new information and wished this kind of opportunities to know about new ASEAN destinations to be continued in the future. Prior to the seminar, Secretary General of AJC had a bilateral discussion with the Minister of MICT and both delivered remarks at the seminar’s opening session.